Animatrix Network: Who will be in the New Mutants movie? [Source: Nerdist] Fox is getting another step closer to bringing X-Men spin-off The New Mutants to the big screen, after The Hollywood Reporter announced that Scott Neustadter and Michael H. Weber—the writing duo behind the hit YA adaptations The Fault in Our Stars and The Spectacular Now—are reuniting with director Josh Boone to write the script for this latest expansion of the X-Men franchise. And what’s even better? The line-up of mutants they’ve secured. According to the original report, the New Mutants line-up for this movie includes, “Native American Danielle Moonstar, Scots girl Wolfsbane, Brazilian ladies man Sunspot, a Kentuckian code-named Cannonball, and Russian teen Magik. Also in the mix will be an alien named Warlock.” That is a pretty classic New Mutants line-up, from their comic book heyday in the 1980s. Missing from this line-up is Karma (who was one of the first members to leave the team), Magma, and Cypher, whose ability to read and understand any language is pretty useless in any action movie (and got the character killed off pretty fast on one of their early missions). 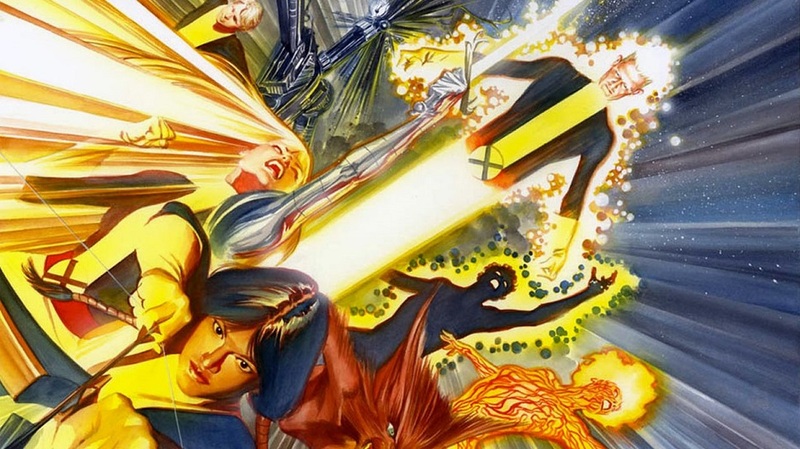 To most fans though, the announced characters would be considered the core New Mutants team. What isn’t explicitly mentioned is whether or not Professor X will be included—although it would be hard to imagine a New Mutants film working without him. Thankfully, Simon Kinberg recently said Xavier is indeed going to be in it (and he would know, as he will produce this one as he has the past several Mutant films). The question then becomes “which Charles Xavier are we getting?” If the movie is set in the ’80s or ’90s, I suppose they could use James McAvoy. But if it’s set in the modern day, then Patrick Stewart would make more sense. I suppose that particular casting announcement is still a ways off. New Mutants still doesn’t have a release date, although there a few “Mystery Marvel” release dates from Fox up for grabs over the next few years that they could take. And at the moment, it’s not looking likely that any of them are going to be Gambit or Fantastic Four 2.